A Korean Masterpiece ! An Unforgettable Film! An epic action film starring Zhang Ziyi about a group of Korean envoys who are arrested and sent into exile by Ming warriors. On their way back to Korea, they rescue a Ming princess from rival Mongol forces but are never heard from again. In 1375, China was in a state of chaos because of fighting between the Yuan and Ming Dynasties. The Korea Dynasty, one of Korea’s ancient kingdoms, sent a delegation of many diplomats, soldiers and a silent slave as envoys to make peace with the new Chinese Ming government. However, this delegation was accused of spying and exiled to a remote desert. On the way, they were attacked by Yuan troops who killed all the Ming soldiers, leaving only Korea warriors. The head envoy, General CHOI Jung of the Royal Guard, decides by himself that they must return to Korea. Vice Envoy LEE Ji-hun dies from the strain of the march, and tension builds between LEE’s bodyguard slave Yeosol and CHOI Jung. 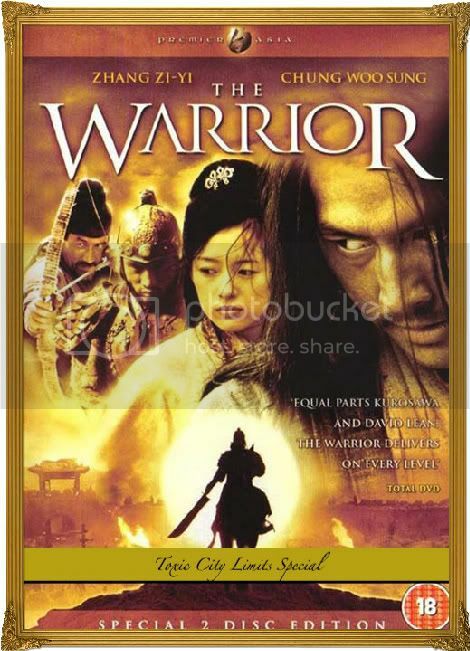 After overcoming countless obstacles, the Korea warriors arrive at a peddler’s inn in the middle of the desert and run into Yuan cavalry who have kidnapped Ming princess Buyong. CHOI Jung falls in love with Buyong the moment he sees her. Meanwhile, Yeosol arrives later, dragging vice envoy LEE Ji-hun’s body. He cuts off the head of a gypsy who spits on the dead body. Yuan general Rambulhwa sees Yeosol decapitate the gypsy with one strike. Princess Furong also looks on from her wagon. Yeosol is eventually taken captive by the Yuan cavalry. CHOI Jung picks up a note from Buyong written in her blood that says ‘Help’, and he decides to rescue her so that they can get a boat bound for Korea. CHOI Jung’s aide Ganam and a warrior from the Commoner’s Army, Jinlip, oppose the idea, saying it would be futile. However, they end up proceeding with the rescue with Jinlip shooting the first arrow. Buyong is rescued, but only at the expense of many Korea warriors’ lives. Princess Furong and the Korea warriors, whose destination is Nanjing (the old southern capital of China), arrive at the Yellow River Valley where they find all the ferry boats burned by Yuan soldiers. There they run into a group of Han tribe refugees. Furong feels empathy for her people and promises to give the warriors a boat to Korea if they take the refugees to the coast next to Mud Castle. They arrive at Mud Castle after even more trials, only to find the castle in ruins and no Ming soldiers. By this time, the Yuan soldiers have caught up with them and the Korea travelers become increasingly nervous. The underlying conflict between CHOI Jung and Yeosol over princess Buyong also deepens. Now they must choose. Give up princess Buyong or fight to the death together? The moment of truth approaches… Can they return to Korea safely?